Most people forget that the driveway is part of their domestic or commercial property and therefore neglect their cleaning responsibilities towards this particular area. 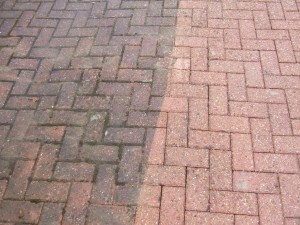 Don’t be like them and delegate to us the maintenance of your driveway. We are fully licensed and insured cleaners and we provide high standard sanitation services at very affordable rates. 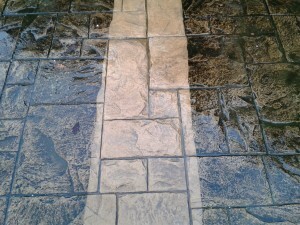 We have the needed equipment to easily and properly handle your driveway cleaning in Liverpool. With the aid of our machines we can easily remove all tire marks, oil stains and gasoline spillages. Once we are done treating your driveway it will look as good as new and it will drastically affect the overall exterior appearance of your property. They are as good if not better than traditional sanitation products. They don’t leave harmful residue which makes them safer to use. They can easily remove any stain and spillages regardless of the fact that they don’t chemical or toxic elements. We care about the environment and want to play our part for its preservation. Don’t be alarmed by the fact that we use green products because this doesn’t increase our cleaning fees. In fact when it comes to prices we are unrivaled by the other sanitation contractors that operate in the city. It likes this because unlike them we base our rates on the unique specs of each sanitation project for which we are hired. We use thing pricing method because it allows us to work with reasonable services fees which are fair to both us and our clients. Know that the scale and complexity of your project won’t be an issued as we have the know-how and manpower to correctly organise and carry out even the most demanding, laborious and time sensitive jobs. Bear in mind that to date we have never failed to meet a deadline due to the fact that we are extremely dedicated and always ready to work round the clock if the project requires it. We maintain a 24/7 customer support service and we work with a flexible work schedule. This means that you can contact us at any time of the day and book our services if you are tired of looking at your soiled driveway. Our phone operators are friendly, knowledgeable and courteous professionals and they will assist you throughout the bookings process. They will also gladly answer to all your questions and provide you additional information about our company, services and methods of work. If you are still not convince that we are the best cleaning company in the area to handle your driveway cleaning in Liverpool, give us a call and request your personalised free quote. Or try some of our other services, like dry carpet cleaning. Once you read the detailed information within it you will instantly realise that we are indeed the ideal contractors for your project and you will be amazed by the services that we are ready to provide you and the cost effect price for which we will do it. Also feel free to explore our website in full in order to learn more about the rest of the cleaning services that we offer.